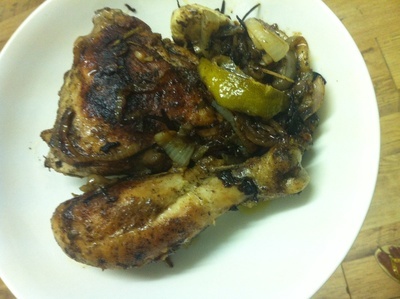 Jerk chicken is one of my absolute favourite meals to make. It goes down a treat in my household, especially with teens and kids. 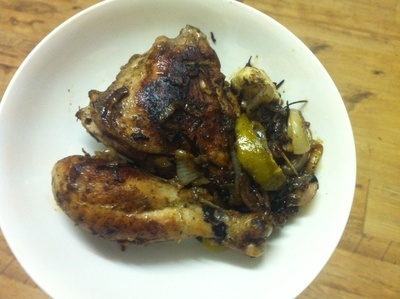 It is finger licking good and pays homage to the Caribbean cooking I've grown up with. 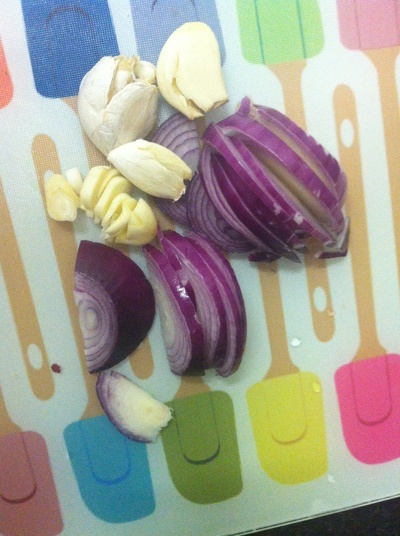 Slice the onion and crush the garlic using the back of a knife. 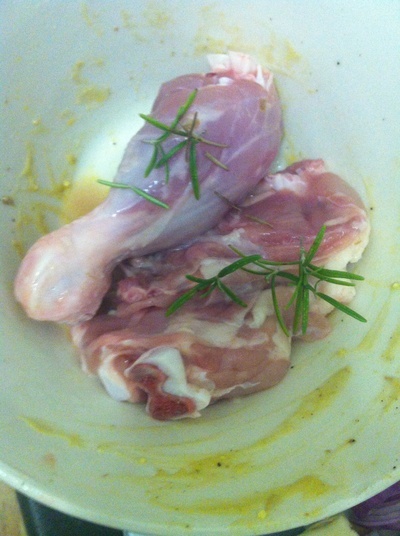 Wash the chicken and place in a bowl along with the rosemary. 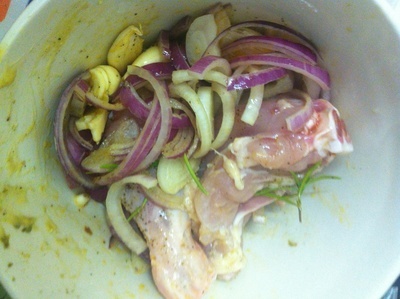 Add the oil, remaining seasoning and garlic and onion and leave to marinate in the fridge for 8 hours or overnight. 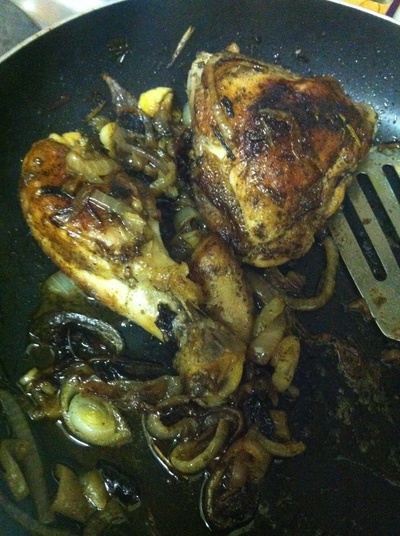 Add the oil to a hot frying pan and remove any onion or garlic that has stuck to the chicken, then place the chicken in the pan and turn the heat to a simmer for 10 minutes. 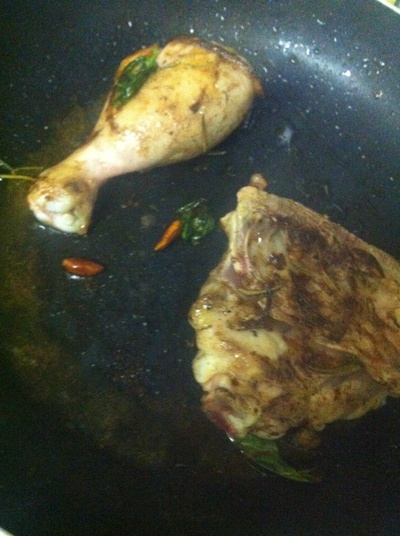 Add the birds-eye chillies and turn the meat over carefully using a spatula/spoon. Cook for a further 20 minutes. 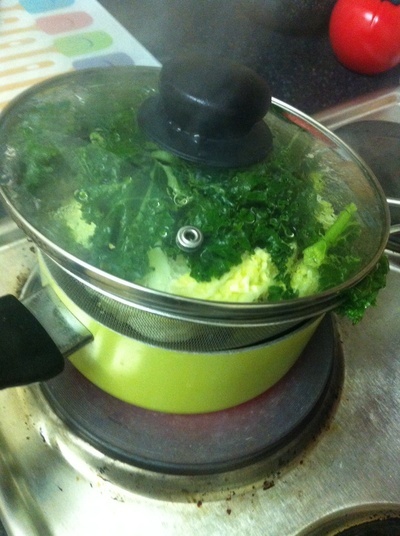 Place the kale and cabbage in a sieve over a saucepan of boiling water. 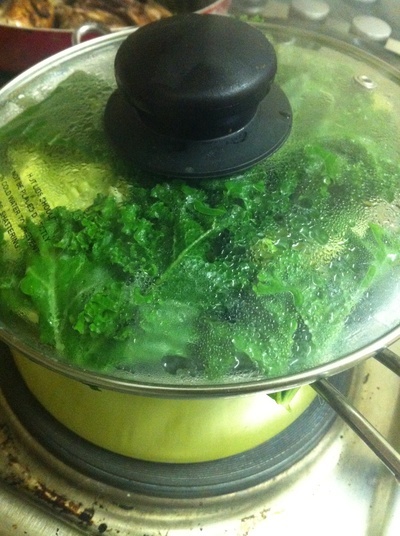 Cover with a lid and cook for 10 minutes. 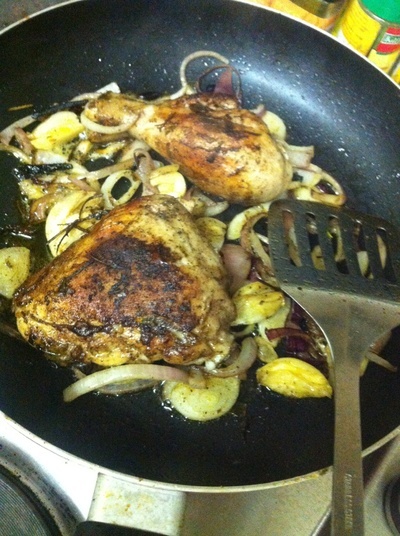 Add the onion and garlic to the pan and cook for 20 minutes over a simmering heat. 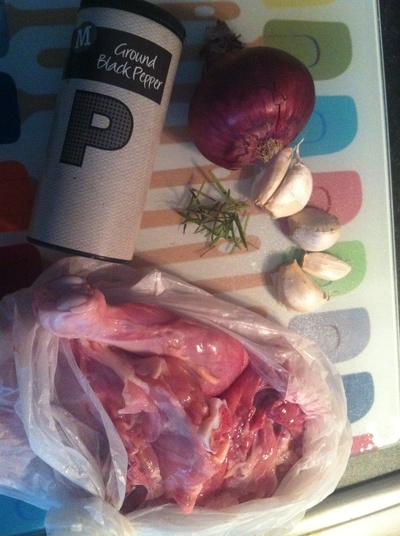 Turn the chicken over and add the mixed spice and half a pint of water. Cook for 10 minutes. 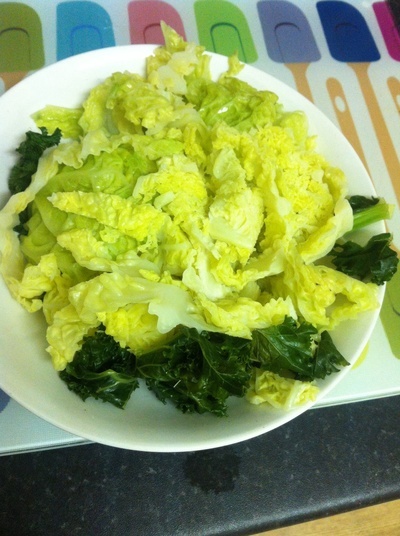 The greens should be steamed and slightly wilted. 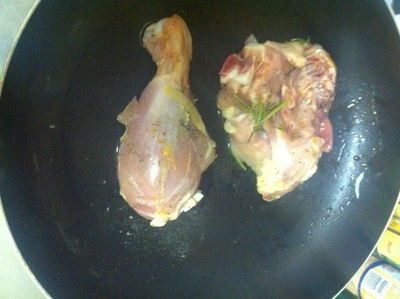 Once the chicken is cooked, transfer to a bowl. 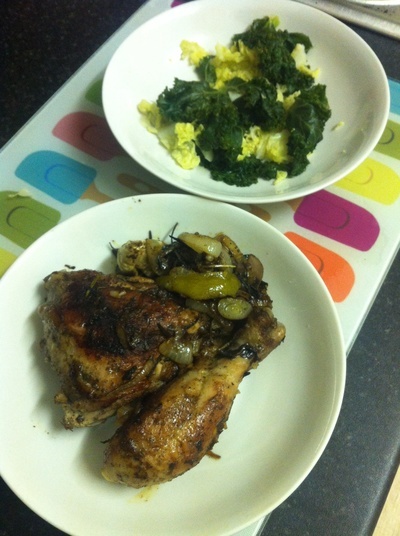 Let everyone tuck in, and watch them lick their fingers and enjoy the greens as well as the jerk chicken.